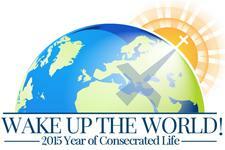 In solidarity with Catholics around the world who are celebrating the "Year of Consecrated Life," public open houses will be held in the Bismarck Diocese at Annunciation Monastery, Bismarck, ND; Sacred Heart Monastery and Assumption Abbey, Richardton, ND. We sincerely hope you will join us and experience Benedictine hospitality and learn about the blessings of consecrated life. Tours will be offered of each monastic house, including the enclosure. We are happy to answer any questions you may have about consecrated life, its place in the Church and in the world. Each of our communities has its own rich charism while still being grounded in the Benedictine values of prayer, community and service. All are welcome! Annunciation Monastery, Bismarck, ND - Open House - Sunday, February 22, 2015 - 1:30 p.m. to 4:30 p.m. (CT) *All are invited to join the Sisters for evening prayer at 4:30 p.m. in the monastery chapel. *NOTE: MARK YOUR CALENDAR - SATURDAY, APRIL 25, 2015- Join us for an inspirational, spirit-filled day celebrating Consecrated Life. There will be something for everybody - keynote speakers, breakout sessions, lunch, Mass and opportunities to visit with others! For more information and to register, click here!